In 1935 our founder Charles Hempel recognized a critical need to supply industries with coating and lining systems that were tailored to their unique performance requirements. As a leader in the field of phenolic resins, he was the first to develop a phenolic coating that could be applied to metals. But we didn’t stop there. Over the next 80 years our researchers have perfected coating based on epoxy phenolic, urethane and silicone chemistries. 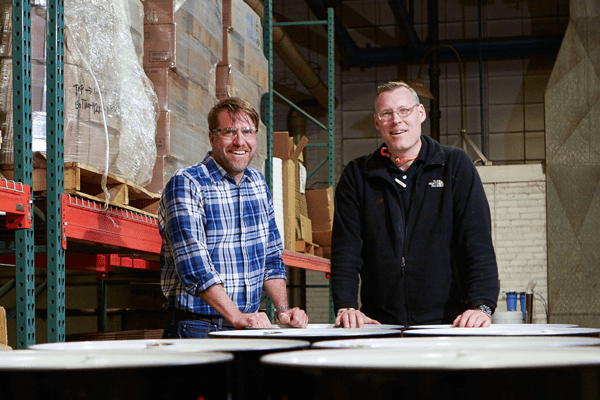 But more than just developing new coatings, Mr. Hempel knew that delivering superior performance meant delivering on a concept of “total performance” that included technology leadership, rigorous quality and process control, and a focus on customer satisfaction. Now, 80 years later, under new and committed ownership, we are still guided by his “total service” concept. Our team at Heresite continues to combine a Superior Product Line, Technical Assistance, and Individualized Customer Service to produce coating solutions that set the standard for performance in the industry. When you call on our team of Chemists and Application Experts to solve your toughest corrosion problems, they listen to determine your performance requirements, and then recommend a Heresite high performance coating system to exactly meet your needs. Because, When Performance Matters, Experience Counts. The Heresite and Chemical Company was founded in 1935 in Manitowoc, Wisconsin, with a capital investment of $8,000 and three employees. Heresite began with an idea to develop the finest corrosion control coatings available. At the time, Heresite recognized that many diverse industries were in need of quality protective coatings to reduce the high costs of corrosion. The company’s initial focus was on pure phenolic resin coatings. It was necessary to develop special metal preparation processes for the application of the coatings to steel and aluminum in order to obtain proper adhesion. United States and foreign patents were issued at the time for these processes and on the formulation of pure phenolic coatings. Today, our experience is unsurpassed in the industry. We work hard to maintain our reputation for quality and service. Our sales and technical services staff will listen to your corrosion problem, and utilizing our fully equipped lab, recommend a high-performance coating solution to meet your challenge. Our team is dedicated to delivering every job as specified. Get more information about Heresite and our network of licensees, or call us for more information.